Update: If you’re wanting to know if this still works in 2018 and beyond check out my Matched Betting diary. I’ve been working towards writing this post for the best part of fourteen months. Finally, I can tell you that I’ve achieved my main goal of 2016. I’ve now made £20,000 From No Risk Matched Betting. If you’ve been watching any of my daily videos on Youtube then you’ll know that matched betting has been playing a huge part in my life. The money I’ve made has helped me; pay off more of my mortgage every single month and afford a once in a lifetime trip to Thailand with my girlfriend. What Is Matched Betting? / How Matched Betting Works / How To Do Matched Betting? What Comes After The Matched Betting No Risk Introductory Offers? What Happens After You’re Gubbed? Why Isn’t Everyone Doing Matched Betting? – And What Happens If They Do? There are so many different ways to say it… But more often than not in one form or another I’m asked to explain what matched betting is, how matched betting works, and how to do matched betting… along with a couple of more specific questions. Matched betting is a common term for utilising the free bet offers that bookmakers offer punters. By doing so you’re able to make some serious guaranteed cash with zero associated risk. It’s quickly turned into everyone’s favourite money-making hustle from The Money Shed to EmmaDrew.info right through to news outlets such as Save the Student, Money Saving Expert, and The Guardian. The outcome of the event that you bet on doesn’t matter. It would not matter whether Liverpool win, draw or lose. There is NO gamble. Regardless of the outcome, you will win nothing, losing nothing. Ultimately, you’ll break-even. I polled the users of my private and completely free to join Facebook group dedicated to Matched Betting to find out how much they’d made from Matched Betting. Remember some of these people have been Matched Betting for days, others for years. As you can see the common answers fall between £100 and £1,000. However, 2 of the 18 members who joined in with the poll reported earning more than £5,000 thanks to Matched Betting! Whilst match betting is ‘free’ finding the offers from over 100 different bookmakers both online, mobile and in-store can be very time-consuming. When match betting started over a decade ago there were no dedicated websites, instead just a few people on forums such as the one on Money Saving Expert. Since then websites have been popping up left right and centre designed to help you understand the process, find you the best offers and help you every step of the way. I generally advise people to stay away from free forums. The format isn’t the easiest to navigate which can make it easy for you to miss offers or get confused – especially when starting out. Instead, pay for one of the dedicated services. They have forums embedded should you need help or look for the social element. However, for the most part, they capture all of the offers, format it in a way that’s easy to understand and follow and allow you to track the offers you have/haven’t done. In my book time is money. Which is why I opted to use Profit Accumulator. It’s not the cheapest at £17.99 a month or £150 for the year (although it does have a free trial to get you started) However, the customer service is fantastic, the community is thriving and it comes complete with extra tools to allow you to continue to make money even once the introductory bets have been completed. Putting that £150 a year subscription into the perspective of the £20,000 I earned it’s less than 1% of my earnings, and unsurprisingly I’m pretty damn happy with that. As matched betting has continued to gain in popularity over the years. It’s no surprise that we’ve seen an increase in the number of match betting forums and services. One of those is Odds Monkey. In an effort to ensure I continued to promote the very best service on the market I signed up for Odds Monkey. As you might imagine the user experience and service is very similar. Just like Profit Accumulator, Odds Monkey has a free trial to help you get started. So, honestly, if you find that Odds Monkey is better for you then go for it – I can’t see you missing out on much when compared to the other paid services. A bookmaker offers odds to which you bet against the company offering them. It is in their interest for you to lose your bet, so they keep your stake, and therefore boost their profits. A betting exchange is a platform for bettors to trade the outcome of certain events. It differs from traditional sportsbooks by allowing bettors to bet against each other, rather than a bookmaker. After completing this article in early 2017, I began getting an influx of questions. One of which was which betting exchange should I use? I did some research and found the answer to this question (along with a whole host of others) and filed it into a compact, easy to digest matched betting frequently asked questions article. Matched Betting is no doubt famous due to the bookie’s fantastic introductory offers designed to get you coming back for more. On just one of these offers you can earn £200+ and it’s the simplest and easiest way to build up your bank and earn a vast amount of money very quickly. However, once the introductory offers stop, I notice a lot of people asking how do I carry on? The same question applies for those who are existing customers of some of the more prolific bookmakers. Now, here’s the thing. I actually spent a month matched betting in August 2015 and in that time I completed most of the introductory offers. I then stopped during the fourth quarter to focus on my Lego business and decided to pick it back up again in the new year. That means that the £20,000 I earned from matched betting in 2016 actually included very few introductory offers. I made a lot more from reloading offers, casino offers and accumulator promotions. Casino offers can vary drastically and Profit Accumulator is fabulous at determining which offers are worthwhile. Whilst members of the forum will explain there experience with the offer to help you determine whether or not it’s a risk you’d like to take. Finally, there are accumulators. Accumulators are the hardest thing to learn, but thanks to the new software that has just been released they are a whole lot easier than they used to be and a way to earn upwards of £100 on a reload offer. I personally used to run five or six of these over three or four bookies each weekend and pretty much guarantee a £200 return. 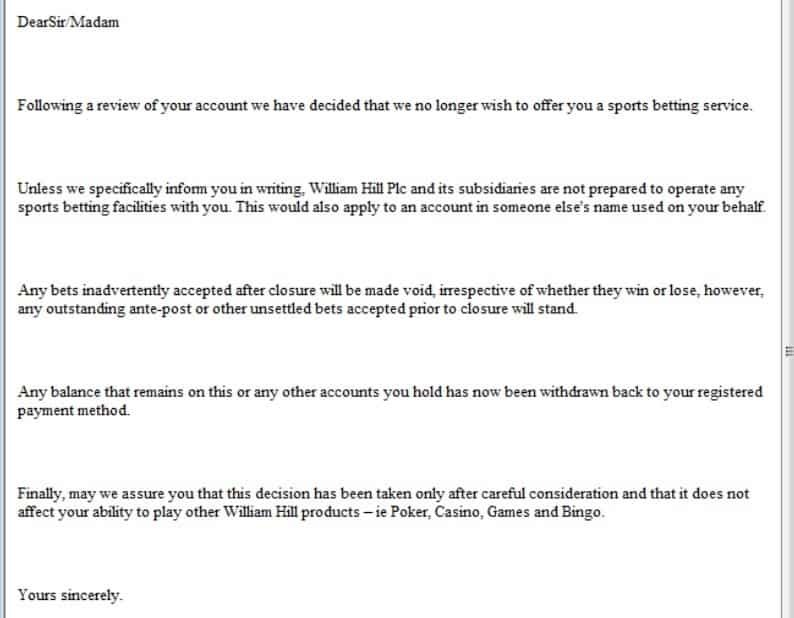 There’s no doubt that with high earnings, comes gubbings (a phrase used to describe the act of when a bookmaker bans you from getting any further free bets). It’s important to remember that you’re money is not at risk when this happens, you’ll simply not receive any future promotions or free bets. Whilst it may seem like the end of the world at the time it’s not. Gambling is a billion pound industry. This contributes to bookmakers are being opened all the time. The different things we can bet on as well as the different offers available are fast moving. So in my opinion, being banned from one, two, three or even five bookies is certainly not the end of the world. Instead, I urge people to focus their energy on keeping the bookies you have open and finding new ways to earn money through match betting. I have heard some stories of how people have been gubbed my bookmakers have gone on to have those gubbings retracted. However, I can only imagine this is under certain circumstances and not something I would depend on. Instead, I’d advise people to matched bet responsibility to minimise the chances of being gubbed. Since I made my £20,000 in 2016 from risk-free matched betting I’ve not completed as many match betting offers. Instead, I’ve started to focus only on the large offers. There are many, many people who don’t want to do matched betting. They don’t need the extra cash, they’ve even tried it and decided that for whatever reason it’s not for them. Personally, I’ve been using the money to start some great new income streams and I’m spending my time developing those. Bookmakers make more money from gamblers than matched bettors. So as match betting continues to grow. I believe a primary focus for the bookmakers is going to be removing as many potential matched betters as possible.